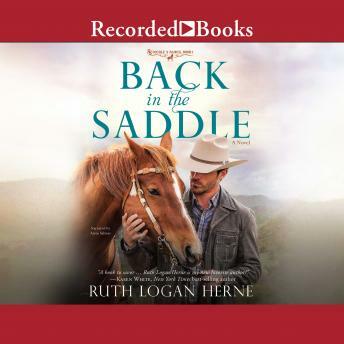 Here comes a captivating western romance and family-centered drama with a heart of gold, featuring plenty of cowboys and family drama, from prolific author and networker Ruth Logan Herne. Colt Stafford's winner-take-all personality clashed with his father's similar temperament and led Colt to pursue his own success far from the Double S ranch. The opportunity came in private equities once he earned his way to a desk on Wall Street. But timing is everything and Colt's financial demise coincided with his father's illness. God's perfect timing doesn't always seem all that perfect, but Colt needed a job, the Double S needed Colt and Sam sent his prodigal son a ticket.and Colt came home. He rediscovers his love for ranching, for Washington and for the great outdoors. His father's change of heart seems surreal, and by the time Colt realizes he belongs with his family, he's lost his heart to a Latina cop whose gone undercover to protect her child and her mother. Through the accidents of timing, God has brought multiple facets together at the Double S, just in time for healing, hope and home.